When two men died on the Northway in late January and early February, right-wingers, downstaters, and anti-environmentalists offensively used their deaths to go on the attack. Never mind these unfortunate folks were traveling through isolated mountain passes in what was certainly the worst weather of the season, and in one case, the worst ice storm in at least several years – the wing-nuts raised their collective cane in disgust over those of us who they said cared more about the environment than people. “But it should not have come to this. This could have been prevented,” our State Senator Betty Little (R-Queensbury) said. She failed to mention that she was one of those at the top of the list who could have prevented it. Little and our Assemblywoman Teresa Sayward (R-Willsboro) failed to act decisively to force cell-phone companies to provide adequate cell-coverage, and more importantly, they spent more than four years pretending that having a cell phone on the Northway was a substitute for common sense in considering driving conditions before you set out to cross the largest wilderness in the east. “You mean we can talk to people on the moon, but we can’t talk to people on Interstate 87?” Abraham Isaac, a Jewish community activist said. His Voz Iz Neias blog has become a center for New York City / New Jersey folks who just can’t seem to understand that the world is not made of high-rises, strip-malls, and unlimited cell service. Maybe they’ve spent too much time talking to people on the moon. Assemblyman an opportunist Roy McDonald met with people at, get this, the Wilton Mall food court to call the lack of cell service “geographic discrimination” and to say that “people’s live should come first” – “There’s a substantial part and areas throughout New York that don’t have service, and I don’t want the upstate area to turn into a third world country,” he said. Gee Mr. McDonald, ever meet any of the rural poor in our area? Ever consider that South Korea has better broadband penetration than the Untied States? Senator Martin J. Golden (R-Brooklyn) said “Shame on those that would get in the way of human life, to lose a life for something as simple as not having a cell phone tower … is very telling about priorities.” Now that’s someone with priorities. Forget war, lack of health care or living wages, failure to fund education to such an extent that the courts had to force the state to act, a state legislature that is a laughing stock of the nation and about as un-democratic as it gets – no, the real priorities are cell service. Now that’s telling about priorities, namely Mr. Golden’s re-election prospects. The Adirondack Daily Enterprise said we were being kept in a “dark ages” by “absolute lunacy.” Blog writer Shlomah Shamos exclaimed the following outright lie “The untimely deaths of two beloved family men are on the conscience of the Adirondack Park Agency, who has been ignoring this issue and blocking all efforts” and asked “how many people have to die due to the lack of cell service on the Northway?” We’ll guess that many more will die on the Northway with cell service or without and Shlomah probably won’t give a single sentence to their deaths. LET ’em die – just don’t mess with our perfect view. 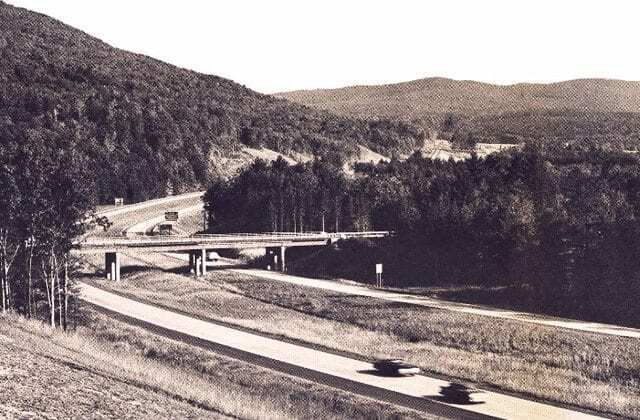 That’s the message from New York environmentalists who’ve prevented the construction of cell-phone towers along Interstate 87 in the Adirondacks. And in the meanwhile, the Killer Greens have their way in the Adirondacks, and while folks die all around them, they pat themselves on the back…can’t wait until they can foist their policies upon the rest of us! Ahhhh… sure… we’re not sure how the quality of life in Old Bridge, NJ is treating the Jersey Wing Nut, but we’re pretty sure the vast majority of folks here in our region would laugh at the thought of living there and our environment is the reason, not their cell phone coverage. 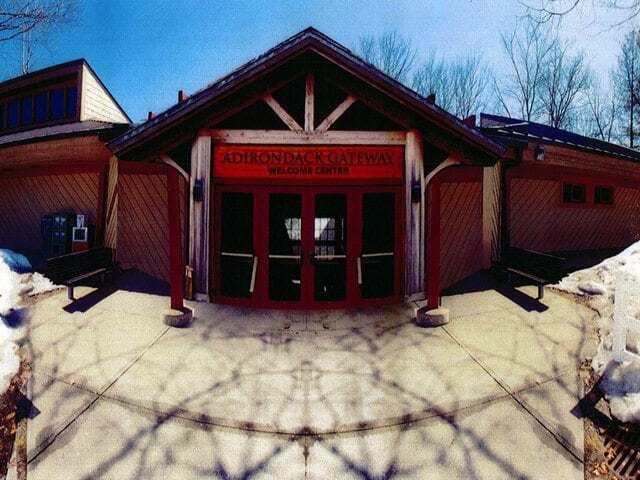 The Adirondack Park Agency already approved 32 – count ’em – thirty-two towers along the Northway. Even though they make a mint on out-of-service-area calls, the cell phone companies couldn’t make ENOUGH profit to install the towers. Economic disparity makes owning a cell phone in Adirondack counties a lot less likely, even if service was available. The cell tower solution leaves the working poor, the elderly, and others who likely don’t have cell phones out of luck. They rely on common sense and avoid making trips across mountain passes during blizzards and ice storms. Complete cell-phone coverage in the Adirondacks is a pipe-dream, unless there are towers on nearly every mountain in the region. Anyone who lives in the mountains, or even in the hilly suburbs knows they lose service all the time, no matter how close the nearest tower is. Dependence on cell-phones in the case of emergency is downright stupid. Survival in the wilderness in the depths of winter is not dependent on the battery in your cell-phone or the nearest tower, it depends on your emergency preparation and winter survival skills – a $2 emergency blanket in the glove box might have saved the life of the first stranded motorist. The second died of a heart-attack while tromping through three foot snows. If lower income people in our region can’t afford their own cell-phone service why should they be required to subsidize the cell service of downstaters? In Saratoga County, there was the plan to spend $12 to $15 million to improve cell service. The first call from Little and Sayward was to demand the state step in and foot the bill. If they were concerned about saving lives (especially of locals), they would fund helicopter rescue services, signs for thin ice, free health screenings, additional health centers, and a thousand other things people in the mountains need. $10 million would save a lot more lives (lost to heart attacks and broken bones) if it were spent on shoveling old folks’ homes out during storms. Having an emergency kit in your car. Wearing warm clothes in winter in case you break down. Carrying extra clothes or extra blankets. Keeping emergency flares in your car. Carrying an air horn in car. He forgot to add: don’t cross mountain passes in the depths of a blizzard or ice storm unless you are prepared for the worst.